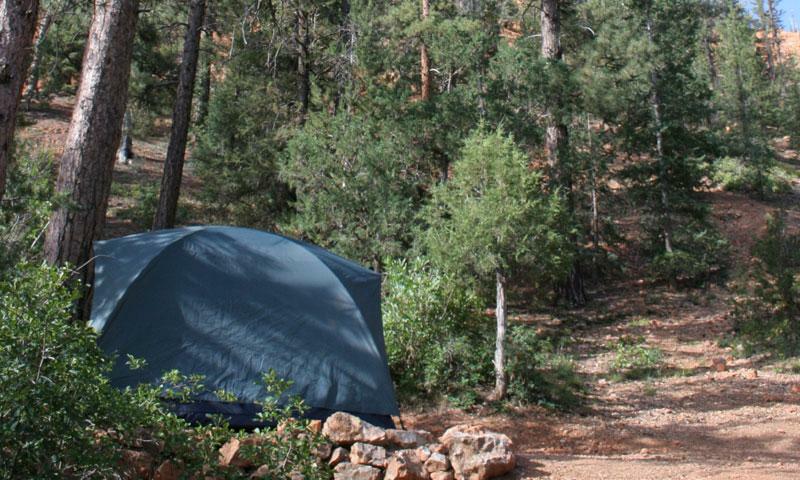 Camping in the backcountry wilderness of Bryce Canyon National Park provides a unique experience when walking one of the hiking trails through the canyon's geological wonders. Permits are mandatory for all overnight camping. Reservations cannot be made by email, phone or mail; permits can only be obtained up to 48 hours ahead, in person, from the Visitor Center. There are regular sightings of black bears in Bryce Canyon backcountry. Food must be sealed in a vehicle or suspended 10 feet off the ground when not being transported or consumed. Campers are advised to carry drinking water. Stream water can be found at Yellow Creek, Sheep Creek, Iron Spring, Riggs Spring and Yovimpa Pass but must be boiled for 10 minutes to purify. Open fires are not permitted but camp stoves are allowed.